If you’re experiencing an issue with a different pest, just contact our team and we’ll see how we can help! 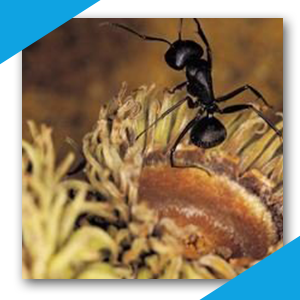 Learn more about our pest control services, and contact us to schedule an inspection or pest control service today! Our pest control company specializes in termite control, inspections, repairs, and preventative maintenance. If your home is showing signs of termite damage, it’s best to call a pest control company as soon as you can. Tackling the problem before it becomes a full-blown infestation can help to prevent costly damage along the way. Identifying a termite infestation and properly controlling it involves inspecting multiple areas of the building. Our team inspects attics, crawl spaces, outdoor spaces, basements, floor boards, and any other source of entry or hiding for termites. Termites are attracted to moisture. If your home’s structural integrity has been compromised by any moisture damage, it behooves you to call a pest control company as soon as you can. For termite control in Modesto, contact Pentecost Pest Control today. Because termites tend to congregate in hard-to-reach spaces such as attics and between floor boards, they can be hard to identify. If you suspect a termite infestation or just want peace of mind, it’s best to call a professional pest control company to inspect the area. At Pentecost Pest Control, we offer termite inspections for residential and commercial properties. Contact us today to schedule your termite inspection in Modesto. Again, it’s far better to be overly cautious when it comes to potential termite infestations than to let the problem worsen. Our pest control team will inspect your space and come back to your home at no charge — and within 24 hours of service. Eliminating termites is one thing, and recovering from the damage they’ve caused is another entirely. At Pentecost Pest Control, we offer wrap-around termite control services to our customers. This makes us unique in the pest control industry, and it’s one of the reasons we’re the Top Rated Local® pest control company in the area. When termites infest your home, they essentially hollow out any wood they’ve encountered. This weakens roofs, attics, floors, and other structural aspects of your home to the point where the entire integrity of your home can be compromised. In these cases, our pest control company locates all areas of termite damage and repairs it completely. We also offer one-year warranties on our repaired wood. In addition to wood repair, we also repair water damage and leaks. This type of service not only repairs your termite damage, but also works as preventative maintenance against future termite infestation. Learn more about our termite repair services today. The key to maintaining a safe property is preventative maintenance. With termites, this part of the process is as important as termite control in the first place. Pentecost Pest Control firmly believes that routine preventative maintenance can identify and solve small problems before they become full-blown issues. Keep your house safe and your peace of mind secure with our preventative pest control services. Rodents, including rats and mice, are not just a nuisance — they’re a danger. Rodents can transmit harmful diseases, leave droppings throughout the property, and damage important structures such as electrical wires. If you spot a sign of a rat or mouse, it’s worth it to call a pest control company ASAP before the problem grows. We use a varied approach when it comes to elimination depending on the scope of the problem. Bees might be crucial to our environment, but that doesn’t mean you want them in or near your home. In the springtime especially, bee hives are over their maximum capacity. When this happens, a new queen hatches and takes her portion of the hive to a new colony. This is called swarming, and it often leads to beehives in nearby trees and even home attics. 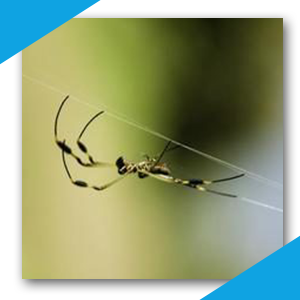 No matter the size or scope of your pest infestation issue, the team at Pentecost Pest Control can help. We offer a variety of service packages, from basic to expanded coverage. No matter the coverage you choose, our pest control company offers unlimited re-service at no charge to you. 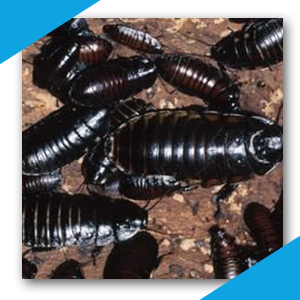 In addition to inspections and pest control, we offer also pest damage repairs and unparalleled warranties.